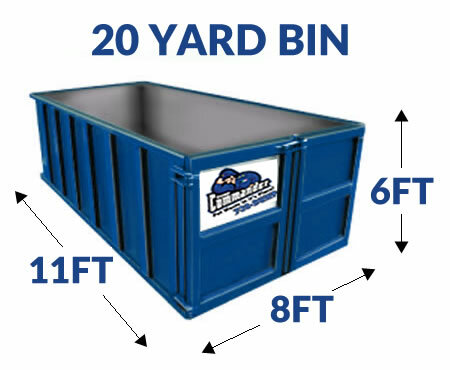 Homeowners tend to use 20 yard bin dumpsters for their major remodeling and other large home renovation projects. if you’re adding an addition to your house or clearing out grandma’s attic, a larger bin might be the right fit. 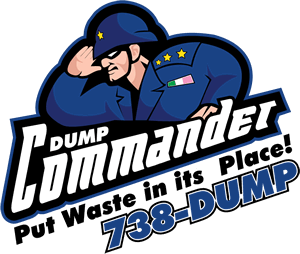 If you plan to dispose of restricted items, expect extra charges to cover the disposal or other fees Dump Commander faces when we arrive at a transfer station with them. The rental is for up to five days If you want to keep it longer there is a fee of $20 per each additional day. In that time, we can remove your waste as many times as you fill the bin up. check the "I'm not a robot"